How to customize your flight on board a private jet? Personalization: another advantage of flying private. Yes, they're lush for the customers of private jet industry. 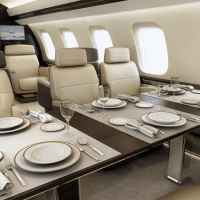 On any private jet you will always receive VIP catering, which consists in charchuterie, salad, fruit, sandwiches or pastries. Champagne is always available on board, as well as a range of soft drinks, tea and coffee on short flight. Proper meals on restaurant-like table are served on medium haul and long-haul flights. Thanks to the tailored nature of private jet charter, you can request any sort of amenity to be available for you during your flight. From birthday cakes to a specific brand of herbal tea, flowers and any sort of amenities. Here at Fast Private Jet we do take the extra mile to make sure our passengers’ needs are met. True first class flying on a commercial aircraft comes also with amenities, but, commonly, they are not at the level of quality and personalization of flying privately. To the average onlooker it’s easy to see private-jet as an excess, like owning a Bugatti or an extravagant large yacht. What makes it more economically wise, is when you value a person’s time. Commercial aircraft only have access to the largest airports. If the traveler is flying to attend a meeting well outside the nearest metropolitan area, he will need to add a significant amount of driving time to get from the airport to the meeting location. 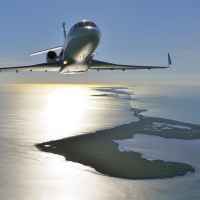 Private jets are able to fly into smaller airports, often getting their clients closer to their destination. Private jets also can fly into airports that commercial flights can’t reach. That opens up the world map into more locations for the business traveler and decreasing the time on the ground needed to reach remote destinations. On the other hand, smaller executive airports that private jets fly into are often closer to downtown locations (Paris Le Burget, London City, New York Teterboro, Moscow Vnukovo, Beijing Nanyuan…). To give you an idea: in the US area, there are 550 big airports served by commercial airline. For private jets, the number increases up to 5.000. Not bad, isn’t it?!? In addition, business jet customers don't have to wait in long security lines at large airports, which can be time consuming even for those with a frequent traveler status.